If you have a single location in Linnworks and you have mapped that location with Peoplevox, then Peoplevox stock becomes the master stock for Linnworks. If you have five locations in Linnworks and you have mapped one location of Linnworks with Peoplevox location then Peoplevox stock will become master only to the mapped location in Linnworks. Similarly, if an item in Peoplevox is not available in Linnworks, then stock will not be updated in Linnworks. You will be asked to enter your Linnworks.net username and password to verify you’re allowing the App to link to the account. Once the application is installed, the Linnworks.net page will be refreshed. If the page does not refresh, refresh it using the refresh button in the browser, or press F5 on your keyboard. The left-hand toolbar will now display a Peoplevox button at the bottom. Some users may need to scroll down. Click the Peoplevox button to open the App tab in Linnworks.net. If you’re opening the Connector for the first time, click on Terms and Conditions to read them, then tick the box to agree to them. Once registered, a Linnworks token will be added to your account, meaning you will not need to enter your Linnworks username and password again. If there is a problem, you may be redirected to the Generate Token page to manually add the token and verify it. Once registered, users need to subscribe to use this connector. The Subscription page will be opened automatically. Select your preferred package, and click Continue. Select payment method and subscribe for this app. On opening the connector for the first time, the pop up screen for the Configuration will open. After installation, open the Peoplevox Connector in Linnworks. The wizard open as displayed below to assist users with completing the necessary steps to use the Connector. If the wizard closes without completing the required steps, the wizard will open again when user logs in next. There are 5 steps of configuration. These steps are required for connection and data transfer between Linnworks and Peoplevox. These configuration settings are based on those choices made when the application was first installed. It controls the connection between the adaptor and Peoplevox. The options in the configuration can be modified from this screen. The screen below can be opened to allow the configured details to be modified. Click Save after making changes. On this Peoplevox Configuration screen, users must enter the Client ID, Username, Password, Warehouse Site & Test / Live Account. These details will be verified and saved. Note: If for any reason, configuration data is not set and saved, a warning message will be displayed to alert you that your Peoplevox account is not configured with (and within) the Connector, and the functionality will not be available until it is. Click the Configure link OR the Peoplevox Configuration button on the right hand side of the screen to continue. When this check box is ticked, orders will be sent to Peoplevox from Linnworks. If it is NOT checked, the order import functionality will be disabled. When you change this option, a prompt for “Yes” or “No” is displayed to confirm the change, and the user will need to select the appropriate option. Note: Once an order is exported to Peoplevox, a Tag with date/time the order was exported will be added to the order extended property. This works in the same manner as Order Import. Ticking the check box means that Linnworks Inventory items with matching SKUs will be updated from Peoplevox with updated stock levels. If un-checked, then the Stock Update functionality is disabled. A list of Linnworks locations is available for enabling Stock Sync for particular locations. Whichever Linnworks locations have been selected on this screen will enable stock to be updated on that location from Peoplevox. Note: Default location in Linnworks is not available for Peoplevox stock mapping. Users can select from what location in Linnworks an order needs to be sent to on Peoplevox. 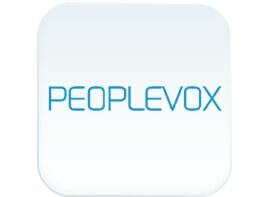 If a user selects Default Location, only the Default location order transfers to Peoplevox. Other order locations were unchecked, so orders from other locations are not transferred from Linnworks to Peoplevox. From the Peoplevox Connector Postal Service Mapping screen, users can map Linnworks (Royal Mail 24, DPD Next Day, etc) Shipping services to their equivalent Peoplevox shipping services to ensure continuity between the two systems when orders are exported. Once all configuration data has been set and saved, the main screen of the application will be displayed. This is the home screen, and it will be opened every time the Peoplevox Connector is opened in Linnworks.net. This screen displays four types of information about the Connector - Synchronization Status, Order & Inventory Count, Stock Update History and Order Export History. The Force Synchronization option allows you to force the services to check and update ahead of their normal schedule. Note that once orders are exported to Peoplevox, tags with the date & time the order exported will be added to Order Extended properties. 1.3. Stock Update History displays the SKU updated by location, quantity and time. 1.4. Order Export History displays the Order Number, Customer Name, Source, SubSource and the date/time of the export. This report summarizes Peoplevox SKUs that could not receive Inventory level updates from Peoplevox because they didn’t match, or weren’t mapped to a Linnworks SKU. Ideally this list should be empty. Option for searching data by typing the SKU and/or searching failed SKU by dates here. The result displays the error message and available quantity on Peoplevox. The SKU status can be searched by typing SKU No and clicking Search. The results will display the SKU, Current Location, Current Quantity, Previous Location, Previous Quantity, Updated On. Update On is the date/time stamp when this SKU was last updated. You must use the Subscribe Now option to select a monthly or annual subscription option if you wish to continue using the Connector, and have not done so already. By clicking on Subscribe Now, you will be redirected to subscription page. Support contact details can be accessed by clicking on the Support button.